One of the least planned for events is a nursing home stay. Couple this lack of planning with the high annual cost of long term care and you have the perfect recipe for financial disaster. According to a Genworth Financial 2007 Cost of Care Survey the annual cost of a semi-private room was $65,985. Given the inflation rate for health related services and the increased demand due to the aging population, the figure is more likely greater than $70,000 in 2012. Many people mistakenly believe that they have unlimited Medicare nursing home coverage as part of their original Medicare or supplemental benefits. But unless you have purchased a long term care insurance policy, your Medicare benefits for a nursing home stay are limited. 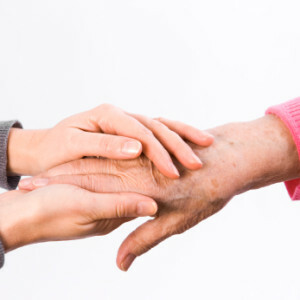 The following is a discussion of what your benefits are for nursing home stays as a Medicare beneficiary, what effect Medicare Advantage plans and Medigap insurance policies have on benefits and what you can do to protect yourself. The first point about Medicare nursing coverage that you should understand is that long term care or custodial care is not covered. Any covered stay in a nursing home falls under the Skilled Nursing Facility Care category. Medicare will cover a semi-private room, meals, skilled nursing and rehabilitative services that are medically necessary. These services are covered only after a 3 day minimum medically necessary inpatient hospital stay for a related illness or injury. To ensure that a stay is covered, you must have your doctor certify that you need daily skilled care such as physical therapy or IV therapy. The fact that a stay in a skilled nursing facility would be more convenient for you and your family is not a reason to have Medicare cover the expense. If you are enrolled in a Medigap policy that includes Skilled Nursing Facility Care you can either lessen or eliminate your share of the cost for Medicare covered expenses. But note that a Medigap policy will not extend the length of time a stay is covered. Plans; C, D, F, G, and N will pay 100% of your coinsurance amount. Plan L will pay 75% and plans K and M will pay 50%. 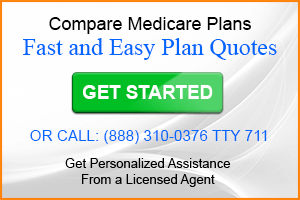 Plans A and B will not afford you any supplemental benefit related to a Skilled Nursing Facility stay. Note that not even the most comprehensive plan, Medicare supplement Plan F, will provide benefits to extend the length in a stay in a facility. Medicare Advantage plans are not considered to be supplemental to Medicare, but are rather another way to receive your Medicare benefits. As such, benefits can vary between plans. You will generally not pay anything for days 1-20 and will likely pay less than $144.50 for days 21-100. 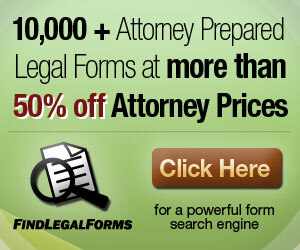 Often times the coinsurance amount may be as low as $50 per day. Once again, like a Medigap policy, an Advantage plan will not extend your benefit period. If you are enrolled in a Network-based plan such as a Medicare HMO, PPO or HMO-POS you may also be limited as to which facility you are able to receive services from. According to statehealthfacts.org there were over 2.5 million skilled nursing home admissions for Medicare beneficiaries for 2010. Many of those admissions exceeded the maximum allowable length of stay and the resulting costs became the responsibility of the Medicare beneficiary. There are basically three ways (or a combination of 3 ways) to pay for a long term nursing home stay. Pay for the stay yourself. Utilize long term care insurance that was purchased prior to your stay. Spend down your assets and become Medicaid-eligible. The average long term nursing home stay is 2.4 years and can be much longer. At over $70,000 per year and rising, it won’t take long to eat through some serious money. Depending on your assets, you may leave your spouse and other dependents without much to speak of. Unless your employer or union offers group long term care insurance you should look into an individual long term care insurance policy. An individual policy generally requires that you are able to pass underwriting and are healthy enough to qualify. Waiting until it’s time to enter a nursing home is too late! The unfortunate fact is that most people cannot pay for long term care or cannot pay for the full term of care and also have not purchased a long term care policy. When this happens, the only choice is to qualify for Medicaid. To qualify, the amount of assets you are able to retain is severely limited. And contrary to popular belief, you cannot merely sell assets or transfer them to someone else. Doing so and trying to qualify for Medicaid under false pretenses constitutes Medicaid fraud. Not good! If you find yourself unable to pay for long term care you may benefit by consulting with an attorney who specializes in estate planning. You will have to pay for care (spend down) until you meet the qualifications for Medicaid. Once you qualify, you may not have your first choice as to which facility you or your loved one is placed in. Also not good! Your best course of action (if affordable) is to purchase long term care insurance. Many insurance experts recommend that you purchase a policy before age 60 when the premiums will be lower. It’s also wise to add a rider that will account for inflation and increase the amount of future benefits. It’s also wise to discuss the tax advantages of long term care insurance with your advisor. The main point to take away, is that Medicare nursing home coverage is limited to the first 100 days. After that, your on your own.